CHEW Dog Rescue is an all-volunteer organization dedicated to rescuing abandoned dogs, dogs scheduled for euthanasia due to shelter space limitations, and other dogs who need us. 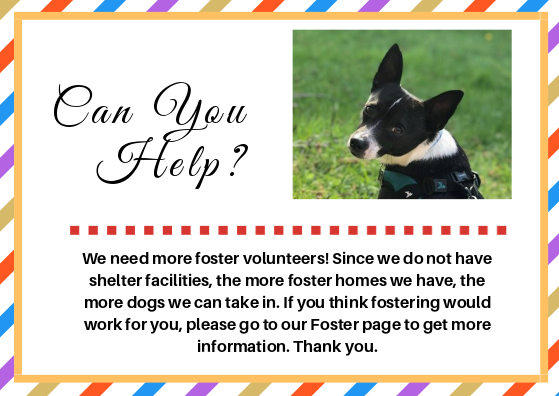 We are always looking to find additional foster homes and acquire funding for veterinary care and other essential elements of dog rescue to allow us to help more dogs in need. CHEW (Canine Health Education and Welfare) is a non-profit, 501(c)(3) organization. Organized in 2006 to advocate for a fenced off-leash dog park in the Gig Harbor area, we now dedicate our time to rescuing dogs in need. 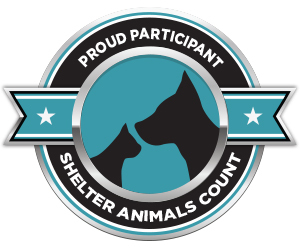 We also promote responsible dog ownership including canine health and behavioral topics. Feel free to download CPR for Dogs and a Pet Disaster Checklist. Check our Adoption page to see all of our available dogs and for an application to adopt.